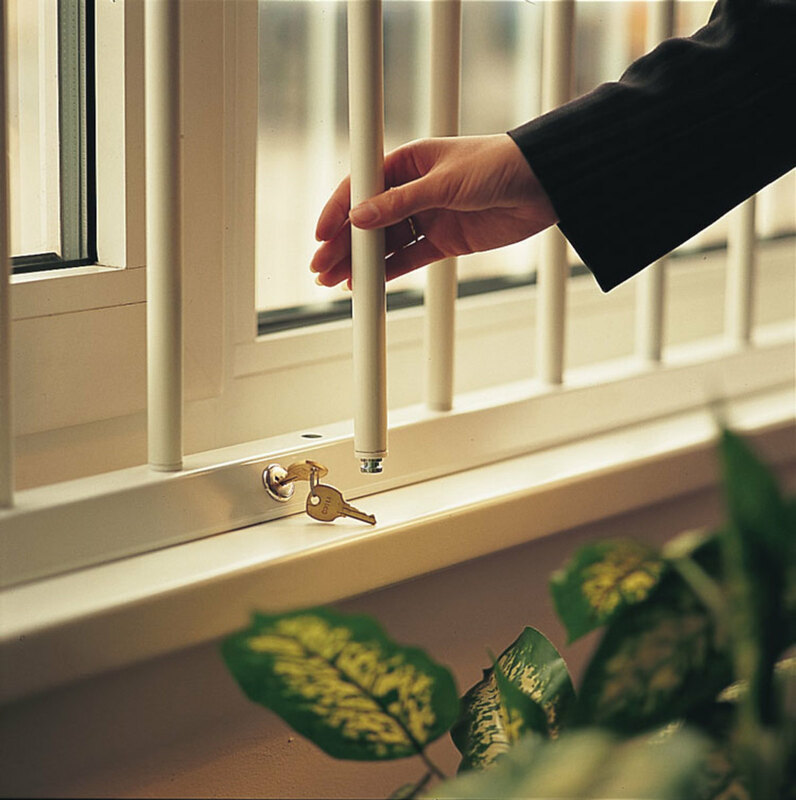 Window security bars are an effective way of even preventing the burglar from breaking in to your home. One look at those well-built window security bars and the burglar will move along to the next house which is easier to enter. 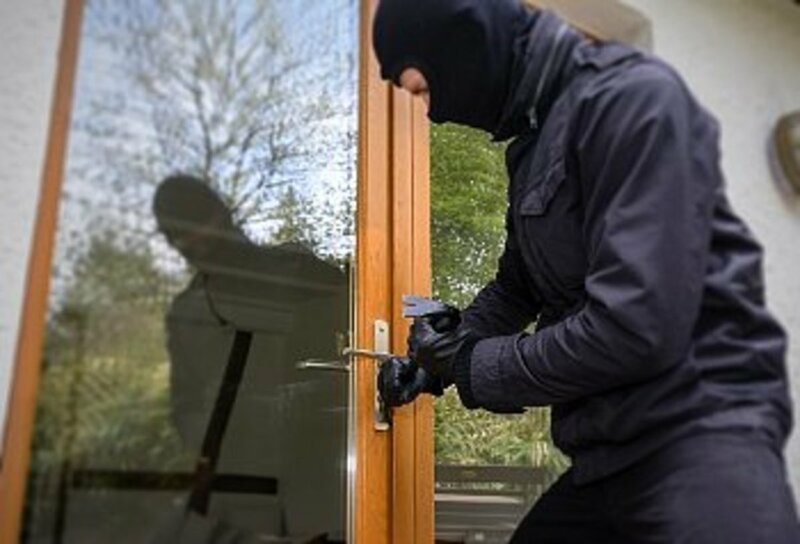 Although home security alarms protect your house without a doubt, still those highly experienced thieves will know how to at least try to disarm it. However, regarding window security bars, there is just no easy way of bypassing them. To bypass them, burglars will need the right equipment, the time and it can not be done in silence. Any burglar who does not want to go to prison will avoid window security bars. Window burglar bars represent the first line of defence. 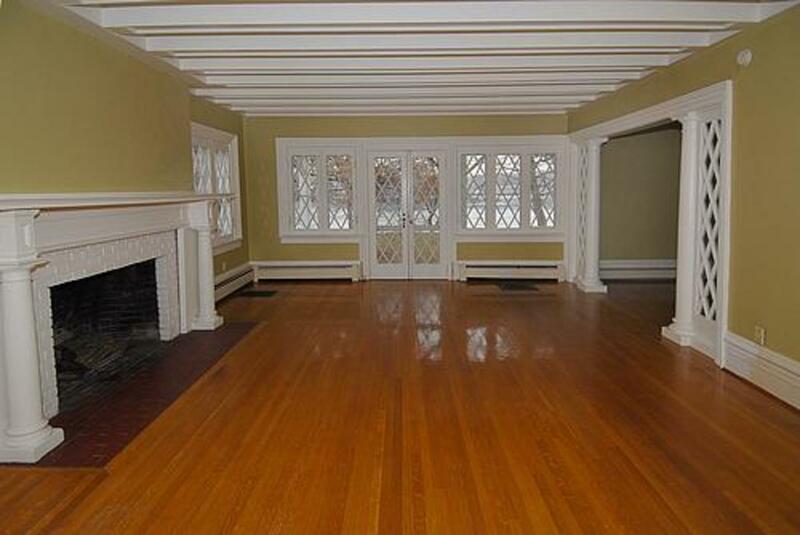 Most homes today have glass windows and doors which can easily be broken. Even if you own glass windows made out of unbreakable glass, there is still the risk of having your window open due to cooling during summer or just the fact that you want open a window in your own house. The reason more to get window security bars to protect your loved ones. They are usually made of aluminium, steel or metal. If you want to take it to the next level, then heavier window security bars made of wrought iron are perfect for you. If you are worried about whether your house will look and feel like you are in jail, you will be surprised with available range of window security bars designs. You just have to pick the one that suits your home style theme the most. Also known as grilles, have found their application in homes and businesses. They are shaped like a scroll or diamond which is situated in the middle oft he bars. Shops frequently use grills placed on their windows to stop „smash and take“ burglaries. 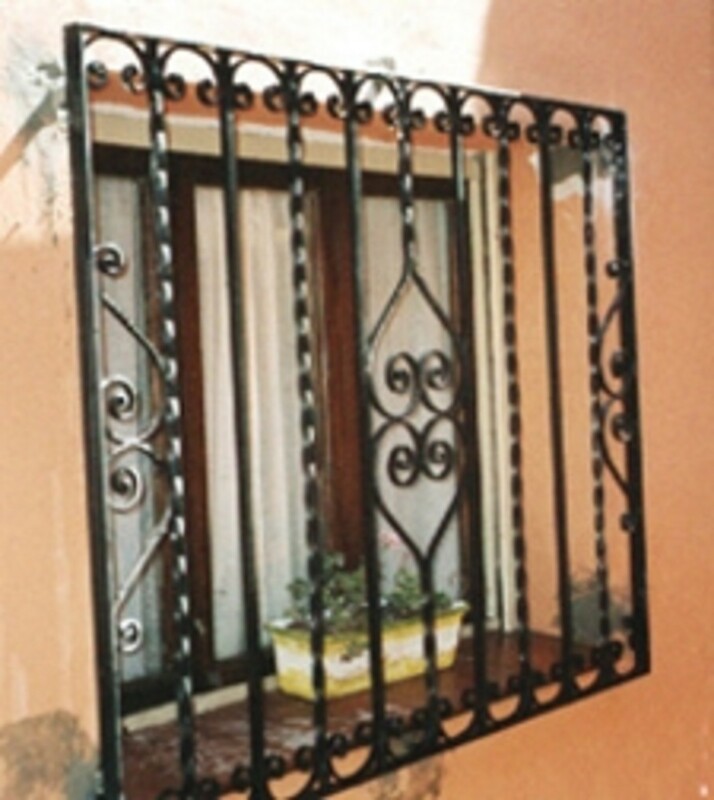 Decorative bars can be found in several materials but commonly in cast iron and aluminum. They look very attractive, and are available in horizontal and vertical design. You can also choose whether you want your decorative window security bars to be permanent or removable. You have probably seen them on older buildings, they have wrought iron type on doors and windows. Newer building tend to have steel window bars. You also have the option of installing them on the outside or on the inside. This one people call quick release as they can be quickly removed and then attached again under the condition that the angle bracket stays on the frame oft he window. It is very convenient if the residents of the house need to make an emergency exit or when you have a house spring cleaning as they swing to the outside. Removable security window bars are adjustable to suit any window size. They are know for their easy installation process and can be folded and stored for later usage. It can be installed with screws and brackets through several small steps. Folding window bars will stop the burglars, but will also allow a clear view to the environment outside. They are available in black, white and brown to compliment the color of homes and buildings. Retail business owners use this type of window security bars a lot for their front store displays because they allow them to show their products through window during day and protect them during night when they are closed. Bandit bars can be placed either horizontally and vertically. Mostly used on windows in basements and made of aluminium. It will protect the window no matter if the window is open or closed. You are not limited, you can open and close the window on the inside as you wish whilst the bar is connected. If a burglar is trying to bypass the window security bars, the magnetic strip in the bar will activate the security alarm of the resident. 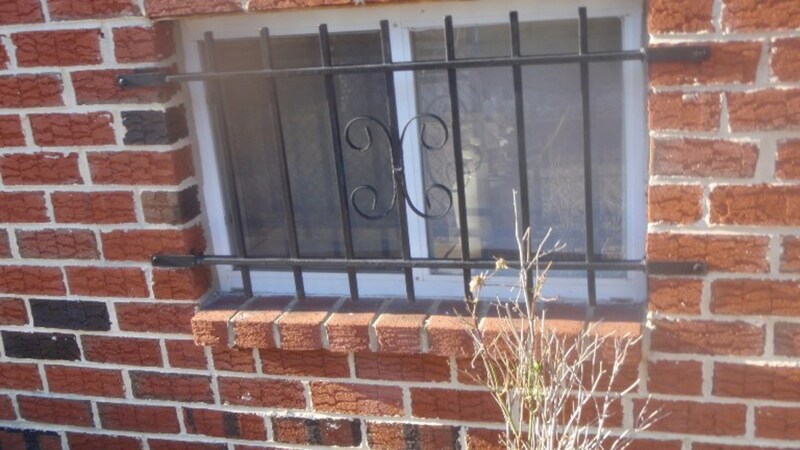 This type of window security bars raises the bar with alarm triggers in home security protection. But in order for it to work you have to have previously installed home security system. 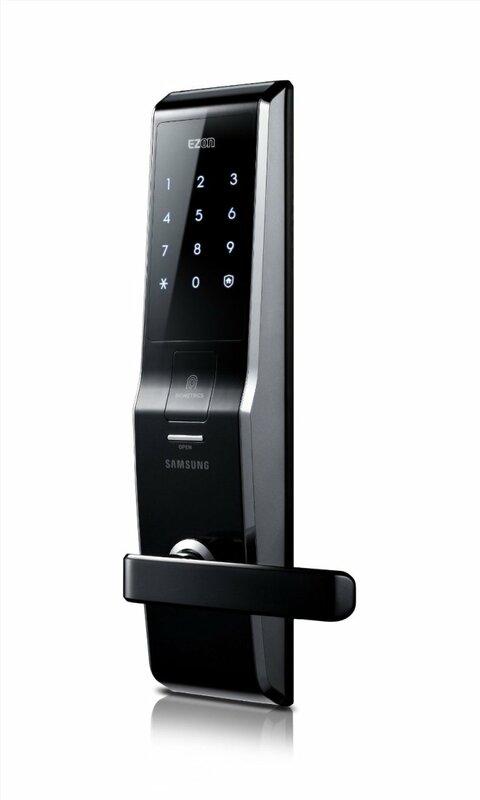 It does not matter if it is a wired or a wireless security system, it works both ways. Contrary to previously described bandit window bars where is only one lone bar across the window, alarmed window bars are similar to standard security bars. You can remove the bar in case of an emergency or for cleaning. 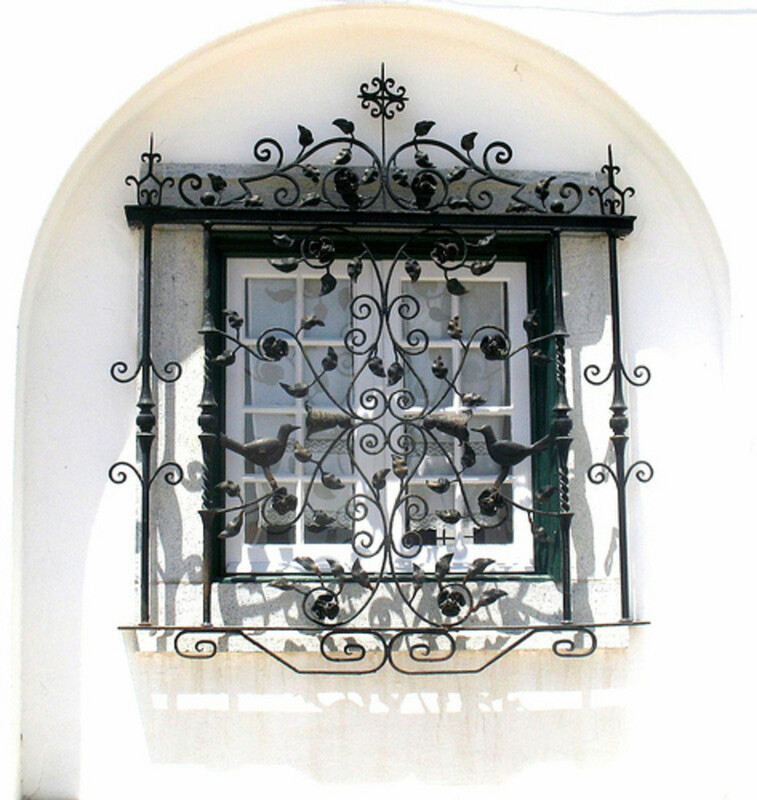 Metal window bars look very attractive because each part hooked up to the bars has to be hand-forged. The polished finished materials adds a touch of sophistication to the window bars. Metal window security bars can be described as elegant and sleek and therefore are perfect for those home owner who wish to have it both ways: the safe home protection and keep the residence looking elegant. First of all do not let the light weight mislead you. Aluminum window bars although very light are firm and very resistant in comparison to iron window bars. Aluminum bars have high tensile strength which makes it extremely hard to bend or break. Because it is corrosion resistant it fits anywhere. Regarding the strength iron window bars are just as tough and stable as steel and aluminium window bars. However, they have one disadvantage. Window security bars made of a material like iron is more inclined to create rust after a longer period of time. As we have all learned in school, iron oxidizes in a combination with air. It is a thing of nature, and we are pretty helpless here. This is the most popular type of window security bars among home owners as they are appealing to the eye and are resistant to rust. Being heavier than aluminium window bars, and providing with extra security from intruders makes them favourable among all types of security bars. 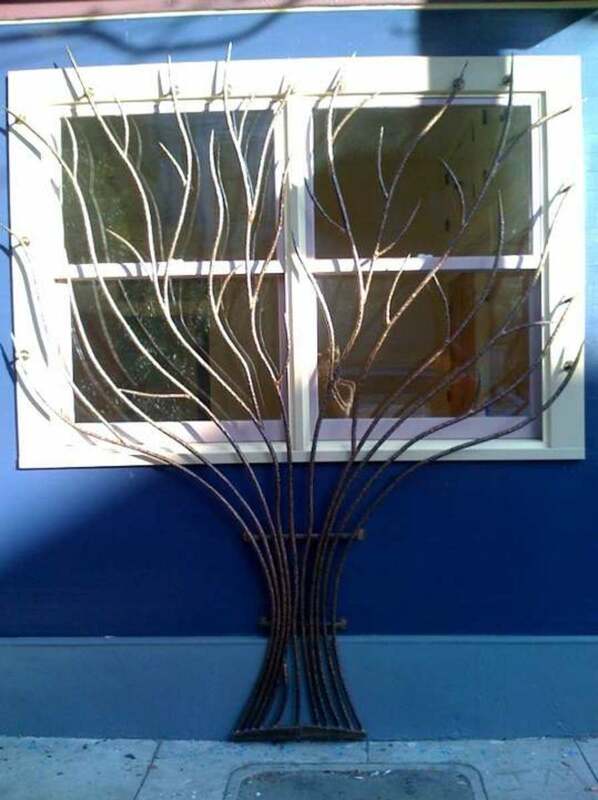 You can see that shops offer a wide range of steel and wrought iron bars regarding design and finishes. Not only they are solid and possess incredible strength, but also add aesthetics to your home. As you can see from all this, not only do window security bars effectively stop the burglars from entering the house, but also add extra charm to your home. Great hub, thanks! Well worth the investment for peace of mind, I reckon. You don't have to be restricted to security bars though, we offer both a traditional security mesh and now a newer unbreakable window we call the WindowShield, much more pleasing on the eye. Great hub and these are great measures to help protect your home from burglary, but don't forget to lock your house! A large number of burglaries and vehicle trespasses occur against unlocked vehicles and houses. This is why it is very important to maintain a well functioning alarm so that when the time arises that your car might be in jeopardy - the alarm will be able to alert you right away. I like the ideas! Very artistic.